I love this example of how a school in Belvidere, Illinois uses their portable screens. Picture an open gym with kids playing basketball, running, shouting and having fun. Now, look to the corner of the gym where an administrator is trying to interview a prospective teacher. Does this sound familiar? Portable screens can solve your privacy issues anywhere you need to divide space. When June, an administrator with First Step Learning Daycare Center started looking for room dividers, she found Screenflex. 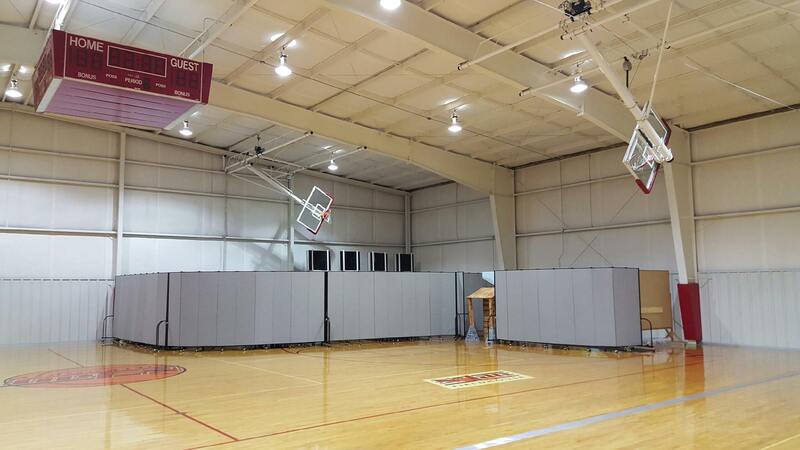 June wanted something portable and stable, that could create a private area when they needed one in their gymnasium. 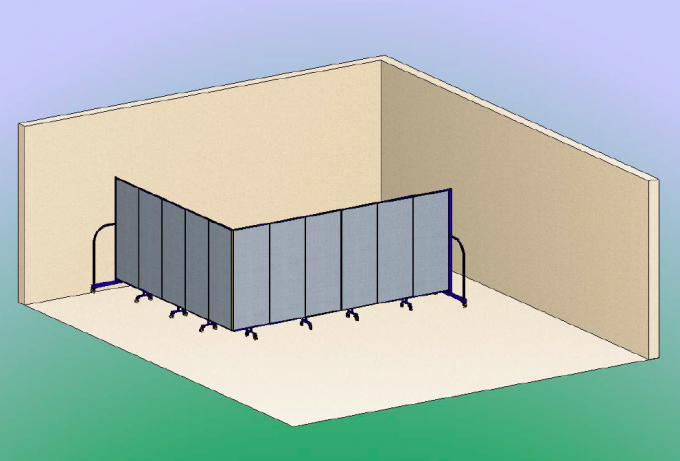 June purchased a 5′ high 11-panel portable screen which they configured into an “L” shape in the corner of the gymnasium. Teachers love the privacy and can conduct interviews or meetings in their new room. During dinner events, the portable screen works well as a wall to block off the kitchen from the guests. We have been so happy with our portable screen. We used my office for interviews. The divider is a great private room. Open your portable screen to divide space. Create a meeting or interview room. Use for traffic control or to limit student access. So versatile, stable and tough.